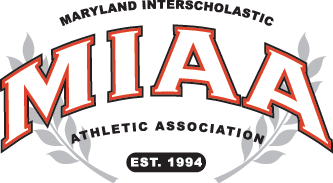 After a difficult opening night trip to Hagerstown to face St. Maria Goretti, the Calvert Hall basketball team delivered new head coach Jason Hanson his first win as a Cardinal, Wednesday, with 64-57 Baltimore Catholic League road win at Mount Carmel. Calvert Hall (1-1, 1-1 BCL) got points from nine different players but senior Logan Curtis was on a level all to himself, as he scored a game-high 26 points for the Cardinals. Jaylen Raikes, Kevin Collier, Amir Jenkins and Russell Ware scored six points each for Calvert Hall and three other Cardinals scored four points. Mount Carmel outscored Calvert Hall 24-15 in the second quarter to turn a one point deficit into a 39-27 halftime lead, but the Cardinals turned it around in the second half, rallying to within two after three quarters and surging to victory in the fourth. Junior Will Little led Mount Carmel with 15 points and Myles Thornes added 14. Pictured above: Calvert Hall’s Logan Curtis.